Do you ever go online and just ask any random question and see how many results you get?? You could sit there for endless hours or days and learn so many things you wanted to know and maybe some that you didn”t want to know.? That is what is so fun and exciting about going online. Stay in your jammies, grab your coffee and get comfy and open that vast world of everything. You love to shop here, but didn?t you ever have a question about LTD that you didn?t know the answer to?? Well we have an answer for that too with some LTD facts you might not have known. Most if not all companies have one and I have to say, ours is pretty exceptional.? To the right of that, we have our Better Business Bureau (BBB) accreditation logo, then our Norton Security, our 115% lowest price guarantee, our wonderful BBB Torch award stamp and PayPal. Just click on any of these images on our website and you will learn more.? For example: if you did not know that we won the 2013 BBB Torch award or would like more information on the Torch award. Next we have our Sign- up for Exclusive offers and Previews.? Now who doesn?t want that? We all love to find a way to save and this is it! 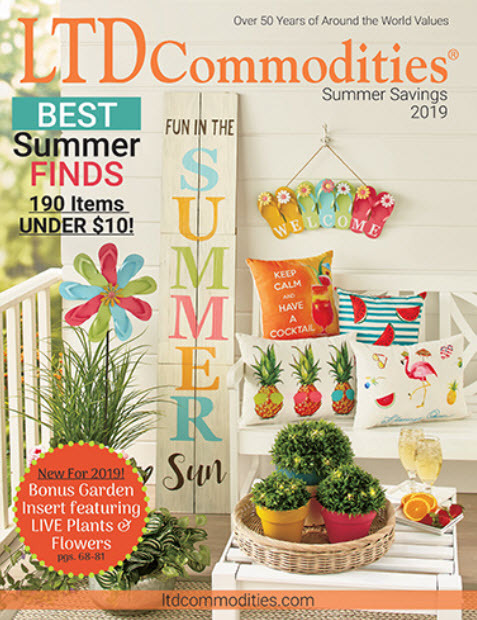 Sign up now and you will get all of the latest at LTD Commodities. Our frequently asked question (FAQ) section located at the bottom of our page holds a variety of questions and their answers just for your learning.? All? you need to do is click on the FAQ link under Need Assistance to view the categories listed. As you click on each category, casino online we have anticipated question/ answers that were frequently asked by other customers.? Take ordering for instance.? 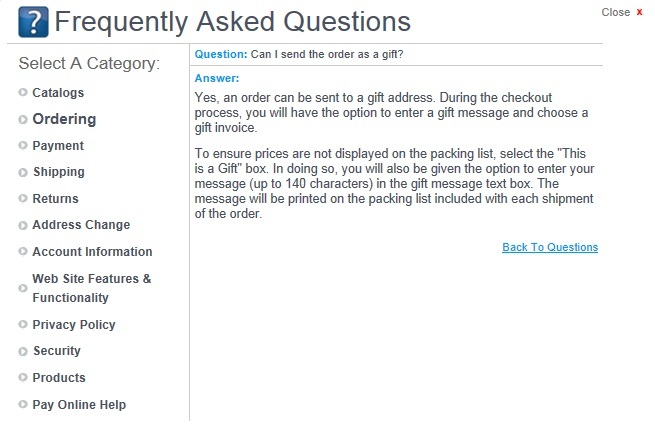 Say you want to send an item as a gift, but don?t know how to do that.? Just click on ?Ordering? and then ?Can I send the order as a gift? and your answer will pop up. ?Now you are ready to learn how to send a gift to one of your favorite people. Have more questions?? Just click ?Back To Questions? and you are right back to our main FAQ category list and select your next category to view. Now if that was your only question, just click the ?Close X? on the top right and you are right back to our site. With that said, we want to know what questions you have for us.? While we have an FAQ section to answer select questions, there may be that one question on your mind; that does not have a one click posted answer.? Post your ?Need to know? question and we will be happy to assist!